4.82 million WeChat users took part in the Lucky Money game on 2014 Chinese New Year eve, as disclosed by WeChat’s parent company Tencent. 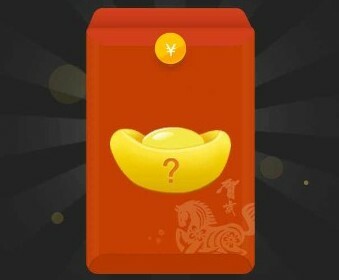 Launched several days before, the feature that adds gamification elements to giving and receiving digital Lucky Money became an immediate hit among WeChat users. Kingsoft even developed a plugin that automatically harvests lucky money for WeChat users. The game reached a peak around 0:00 am on the new year’s eve that 25,000 packets were opened in one minute. The average value of lucky money packets given away is 10.7 yuan (a little more than USD 1.5), so it’s more for fun as a serious lucky money packet to a kid must contain more money. 4.82 million doesn’t seem a big number to some people who expected a large number of participants to be converted to WeChat Payment users. The rumor that WeChat Payment has gained some 100 million accounts after the launch of the lucky money feature isn’t likely to be true as the time for redeeming packets, also for some users the time for activating WeChat Payment accounts, hasn’t arrived yet, for the Chinese New Year holiday has just passed one third that users cannot be in a hurry to redeem the packets. Anyway, WeChat Payment must be one of the products Tencent will be focusing on this year — the two commercials Tencent made for this year’s Spring Festival Gala (as eye-catching as Super Bowl in the U.S.) on the new year’s eve featured WeChat Payment and QQ Mobile Assistant while last year’s was WeChat as a messaging app. With over 600 registered accounts and some 270 million monthly active users, WeChat’s natural next step is having as many user accounts with payment capability as possible to consume paid offerings, games, mobile shopping, stickers and more that will come.